Present this Coupon at Time of Quote and Eagle will Donate $1 to one of our Supported Charites. With this coupon only. While supplies last. Must present this coupon. Not valid with any other offer or prior service. Only valid for one charitable donation per person, per year. Ads from huge insurance companies seem to dominate the media, and you may think that only they can get you great deals. In reality, independent agencies can usually give customers more savings because they work with so many different providers. At Eagle Insurance, we like to build strong relationships with our customers and get them the best deals possible. We work for the client, not the carriers. When you start your service, one of our experienced agents will consult with you to and get to know your situation. 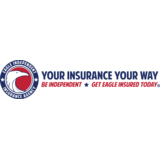 Then, Eagle Insurance will compare plans from our carriers to find the one that best fits your needs. Our focus remains on you for the entire time. If you need multiple policies, bundling plans is a popular option that can save you hard-earned money. Insuring the things that mean most is important, and you need a provider you can trust. 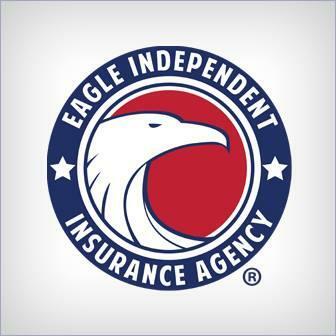 If you want great coverage and second-to-none customer service, join Eagle Insurance. To get started, call us at 1-844-EAGLE-QUOTE or get multiple quotes for free from our website. We go the extra mile for our customers, and we’re ready to help you today. My agent Andrea really went above and beyond for me. She was able to lower my monthly payments with better coverage AND when I did have an issue come up she patiently worked through it with me, and the crazy man who I was leasing the car from. My leaser was ridiculous and demanding, but Andrea took care of it with ease and an abundance of patience! that I myself did not have for him! She was able to beat my quotes on my new car too, but I would have gone with her anyways! I can't imagine having a different agent! Thanks Andrea!!! Recently changed insurance and couldn't be happier. Not only did we get the coverage we wanted, we also saved two months payments out of a year compared to our old insurance provider. Amanda was great answering all questions and we'll definitely be referring friends here. Great Job!! Thanks Amanda!